Most trail running and ultrarunning professionals are not full-time athletes whose only focus is training and performing their best–and getting the proper recovery in between. And the rest of us? We also juggle careers, family, and other activities with our running goals, and often times that can leave us feeling like there aren’t enough hours in the day. Where’s the easiest place to cut an hour in order to make time for the rest of life? Time in bed. We go to bed an hour later than we should and still get up early before the kids wake up or work to squeeze in that run. Sleep can feel like the easy sacrifice, but we have to acknowledge that sleep has been deemed necessary for maintaining our cognitive, physical, and metabolic processes, along with having a psychological impact on our mood (8). In the past couple years, two major sleep-consensus panels, including the American Academy of Sleep Medicine and Sleep Research, found that adults require a minimum of seven hours of sleep a night to maintain healthy cognitive function (1, 2, 4). What’s not yet included in these consensus statements and what we can’t give you a simple answer to in this article is how physical training affects sleep requirements. 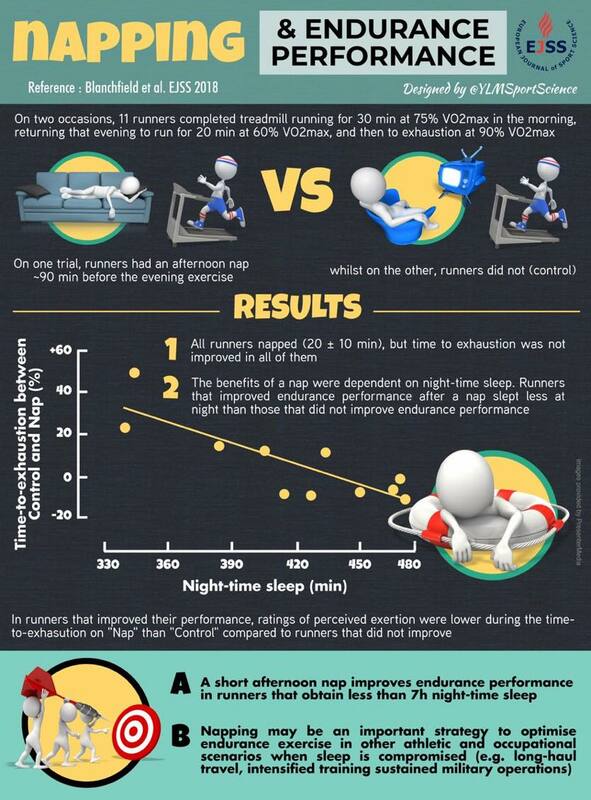 The scientific community does not yet have a conclusive answer on how much sleep is ideal for training athletes. (We have some ideas though, so stay tuned.) In this article, we examine why sleep is important–particularly to an athletic population–what happens when we don’t get enough sleep, and how we can maximize the sleep we do get. Per the American Academy of Sleep Medicine’s recommendations, sleep-requirement guidelines change as we age. Most adults require seven to nine hours of sleep a night. Image courtesy of American Thoracic Society. Sleep and Performance. Patient Education: Information Series. American Journal of Critical Care Medicine. 2018: 197: 13-14. While sleep certainly feels like our nightly ‘powering down,’ we know it’s a biologically important process that is necessary for maintaining our body’s cognitive, physical, and metabolic processes, which includes immune-system function, regulating cortisol (a stress hormone), testosterone, human growth hormone (HGH, important for tissue repair), glucose metabolism (energy balance), and brain health (4, 16). And it’s not just any kind of sleep that’s required for these processes, it’s quality sleep (5). Two different types of sleep exist and they have very specific functions. One kind is non-rapid eye movement sleep (NREM), which is divided further into four stages and critical for physical recovery. Rapid eye movement sleep (REM) is where dreams generally take place. Generally speaking, our entry to sleep is via NREM (5). Stage one – Light sleep, short-lived, only persisting for one to seven minutes. Stage two – Still fairly light sleep but lasts longer, generally 10 to 20 minutes. Stages three and four – Both are considered deep sleep and are sometimes referred to as ‘slow-wave’ sleep. During this time, normal functions such as blood pressure, breathing rate, and heart rate slow. This deep sleep lasts for 20 to 40 minutes. The one difference is that stage-three sleep is when HGH is naturally released at peak amounts, which is crucial for growth and recovery and which we will touch on again shortly. After the four stages of NREM sleep, you cycle into 30 to 40 minutes of REM sleep. It’s called REM sleep because your eyes dart back and forth under your closed eyelids. During REM sleep, the brain is more active and your heart rate, breathing rate, blood pressure, and body temperature rise (5). Throughout the night, your REM-sleep cycles lengthen, with the longest episodes usually occurring in early morning. REM sleep is often thought of as the mental and cognitively important part of sleep, a time for you to consolidate the information you’ve taken in during the day (5). Your nightly sleep is made up of approximately 75 to 80% NREM sleep and 20 to 25% REM sleep. However, if you are sleep deprived, even for just one night, that ratio skews and your body seeks more NREM sleep, and it will take longer to recover your natural REM sleep time (5). Essentially, NREM sleep’s later stages are when physical recovery and rejuvenation take place, and REM sleep is when your brain’s cognitive and mental recovery occurs. This explains why when you are physically tired you don’t dream as much (shorter REM and longer NREM cycles) and when you are mentally fatigued you seem to dream more (shorter NREM and longer REM cycles). Humans naturally pass through multiple cycles of combined NREM sleep (stages 1-4) and REM sleep until waking in the morning. When you exit sleep through REM to wakefulness, because it is a lighter sleep, you are generally less groggy. Image courtesy of Gdblogs.shu.ac.uk/b2006900/2014/10/08/sleep-cycle-diagrams/. Circadian rhythm, or your 24-hour internal clock, is the cycle between sleepiness and alertness controlled by your hypothalamus (the brain’s regulator). This natural rhythm is determined by both genes and environment (6). These internal rhythms are acutely responsive to several things including photic cues (environmental light changes), gastrointestinal signaling (eating), and temperature changes (5). The hypothalamus is responsible for these reactive abilities, relying on visual receptors to respond to changes in light quantity and quality. As the sun sets, the hormone melatonin is released from the pineal gland (a tiny endocrine gland in your brain) and helps signal that it’s time to sleep. This happens via a number of mechanisms, including binding to receptors in your brain that specifically reduce nerve activity, and also helping to reduce dopamine levels (a chemical which generally helps you stay awake) (10). On the other hand, low melatonin levels can cause an increase in sleep latency, or an inability to fall asleep quickly. Some things that can cause low melatonin levels include stress, smoking, exposure to excess light at night (including blue light from electronics), not getting enough natural daylight, aging, and shift work (11, 12, 13). The other major circadian-rhythm influencer is temperature, both in the environment and your internal body temperature. Your body temperature changes slightly throughout the day, with your lowest body temperature recorded in the early morning and then steadily rising throughout the day until approximately 9 p.m. before declining again (5). Sleep onset generally occurs at that temperature tipping point when the blood flow to your skin increases, dropping your core body temperature. Quite simply, a warm body is an active body, and a cooling body is a slowing of all those metabolic processes. The decrease is only a degree or two and this temperature lowering helps your body conserve energy. The important piece here is that extreme temperatures in your sleeping environment can disrupt sleep (5). This is exactly why it’s often hard to fall asleep in hot, summer months, and it is also why it is thought that insomnia could also be related to an inability to thermoregulate (control your body temperature) (5, 14). Your body temperature (in degrees Fahrenheit) changes throughout the day and is a critical part of your circadian rhythm. You are generally the warmest around 9 p.m. and then, as your body cools, you go to sleep. Your body is at its coldest in the morning. 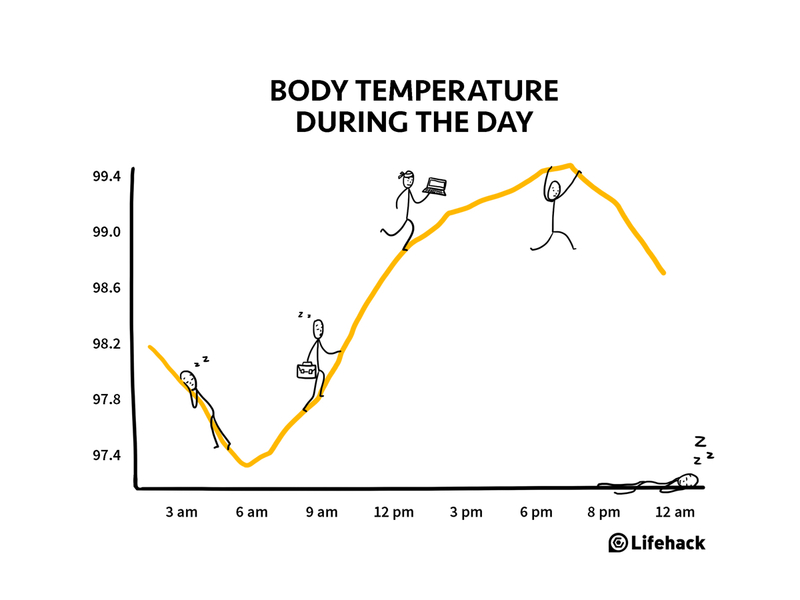 Image courtesy of Cdn.lifehack.org/wp-content/uploads/2017/11/08220605/temperature-during-the-day.png. The genetic component of this is often referred to as your chronotype (your genetic predisposition), and in the case of sleep it determines if you are a morning, night, or midday person (9). Sometimes these help and other times they hurt, particularly when you look at the time you are available to train (like if you’re a night owl forced to run at 4 a.m. to get it in) or unusual race-start times. Lucky for us, especially as races get longer, we find ourselves running at all times of day, but will have our own natural highs and lows that generally correlate with these chronotypes. That is, each of us has our own ‘physical peaks’ throughout the day where we perform the best. Some of this is pliable, but generally speaking these daily rhythms are generated by internal bio-chemical processes and are not simply reactions to outside stimuli like alarm clocks (5). Throughout our daily sleep-wake and melatonin-cortisol cycles, we all experience slightly different peak-performance times. Image courtesy of Holistickenko.com/why-is-sleep-important/. With sleep deprivation, even one night of altered sleep (as little as two to 2.5 hours less than normal) can cause significant deficits in how your brain and body function. Ever wonder why you get sick after a night or two of inadequate sleep? With just partial sleep deprivation, your immune system sees a decrease in both natural killer cell activity and the cytokine interleukin-6 (IL-6) (4). Natural killer cells are a type of white blood cell that helps fight viral infections and IL-6 is produced by your immune system to help fight inflammation and infection. When we hear the word cortisol, we might think that it’s bad because we know it to be a stress hormone. However, the right amount of cycling cortisol is critical for multiple physiological functions including bone strength, structure, and function; nervous- and immune-system function; a healthy stress response; and the breakdown of macronutrients like fats, carbohydrates, and protein. This complicated balancing act between a multitude of hormones that regulate, stimulate, create, and manage homeostasis leaves us in a Goldilocks situation–neither too hot nor too cold, but hopefully just right. If cortisol levels are too high, they create problems, including blocking serotonin (a chemical neurotransmitter) receptors, which down regulates melatonin secretion to impair sleep and prevent HGH release, and inhibiting adequate glycogen-store replenishment, which compromises energy supply and inhibits muscle repair and which we will speak about more later (18). When we look at cognitive function in people who are both acutely (one night) or chronically sleep deprived, cognitive function declines. In fact, 19 hours of sustained wakefulness elicits the same performance deficits as a blood-alcohol concentration of 0.05%, and 24 hours of sustained wakefulness elicits a performance deficit equivalent to an alcohol concentration of 0.10% (28). You might think, Can I adapt to being chronically sleep deprived and function well on less sleep? The answer is likely, no. In a study where test subjects performed psychomotor-function tests every day for 10 days after various levels of sleep, there was a steady decline in reaction times for volunteers getting less than seven hours of sleep a night (29). It should be noted that the five-hour-a-night group started to stabilize on day five, but at a level significantly lower than their baseline (29). The graph shows mean speeds during a psychomotor vigilance test measuring behavioral alertness, in this case pushing a button in response to a correct image. B = baseline, E1-E7 = sleep-level testing days, and R1-R3 = recovery days with further testing to track return toward baseline. Speed decline is seen both the five-hour- and three-hour-a-night groups, with limited decline from baseline values in the seven-hour-a-night group, and no average decline in the nine-hour-a-night group. Image courtesy of Belenky G, Westensen NJ, Thorne DR, Thomas ML, Sing HC, Redmond DP, Russo MB, & Balkin TJ. 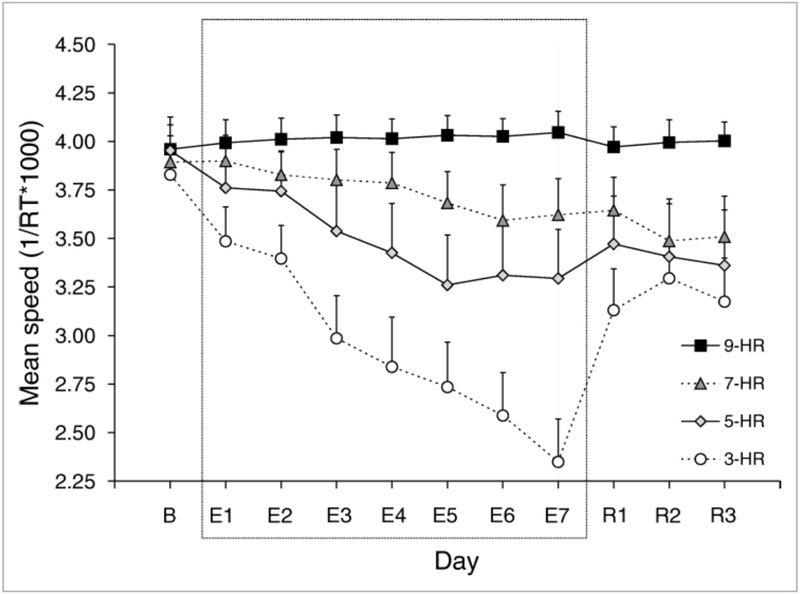 Patterns of performance degradation and restoration during sleep restriction and subsequent recovery: a sleep dose-response study. Wiley online library. 2003. http://doi.org/10.1046/j.1365-2869.2003.00337.x. Finally, while sleep has long been thought to be used to consolidate and process memories, new evidence is emerging about how sleep ‘cleans’ the brain and helps prevent degenerative nervous-system and brain diseases including dementia, Parkinson’s, and Alzheimer’s (16). Alzheimer’s disease is thought to be caused by a build-up of plaque-forming A-beta (an amino acid) in the brain. Enter the glymphatic system. The glympatic system is a newly recognized system that interfaces with your nervous-system cells (glial) and your lymphatic system (responsible for draining lymph from your tissues, including your brain and spinal cord). Essentially, it picks up waste and flushes it away, and it does this primarily while you sleep! Part of the reason this happens is because, during sleep, the spaces between your brain cells widen by roughly 60%, allowing more fluid to wash through and take metabolic waste with it. Also currently under scientific investigation are how estrogen and genetic variants play a role in dementia, as women are far more likely to be diagnosed with Alzheimer’s disease than men (16). Several more reasons to catch those Zs! 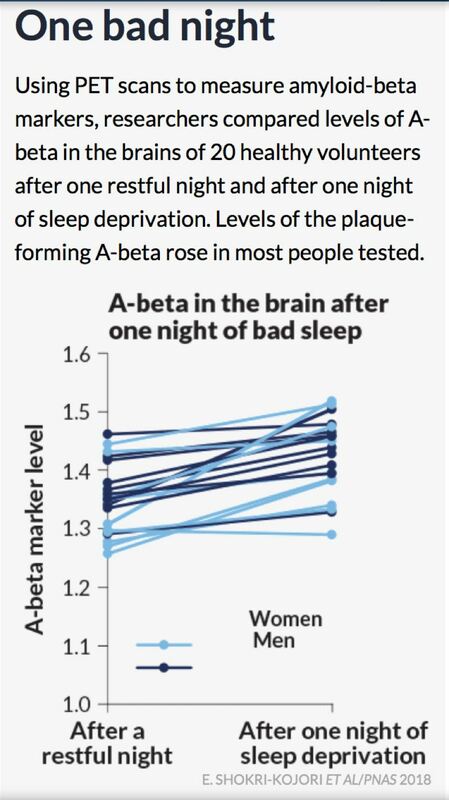 After one night of sleep deprivation in 20 healthy volunteers, there is an uptick in the marker for A-beta accumulation, which is correlated with dementia and diseases such as Alzheimer’s. Interestingly, some females show a larger increase in A-beta accumulation marker than males. Although the exact reasons are still not known, women are statistically more likely to be diagnosed with Alzheimer’s than men. Image courtesy of Beil, L. (2018, July 21). The brain may clean out Alzheimer’s plaques during sleep. Science News, 194(2), 22. Why is sleep specifically important for us active folks? One of the key reasons (besides saving our brains) that we athletes should focus on sleep is because of injury prevention. Chronically getting less than eight hours of sleep per night has been shown to be one of the strongest indicators in predicting injuries (7). In fact, athletes who sleep less than eight hours per night are 1.7 times more likely to be injured than athletes who get more than eight hours of sleep per night (7). Although some of this increased injury risk is likely linked to decreased psychomotor function (affecting coordination, timing, and accuracy of both gross and fine body movements), a lot of the injury risk comes from blunted bone and tissue repair (7). 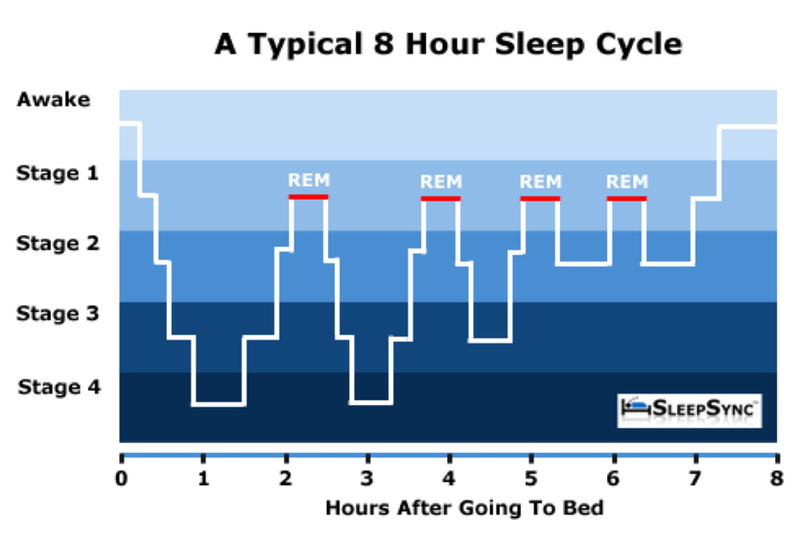 Aside from poor glucose replenishment (18) affecting recovery, we know that 95% of our daily HGH production is released during NREM sleep stage three (7). HGH is responsible for stimulating the growth of essentially every tissue in the body including bones, and is the key agent behind cell reproduction and regeneration. Getting a minimum of eight hours of sleep a night seems critical for athlete’s physical well being. Sleep deprivation has also been linked to changes in the levels and functionality of the hormones insulin (critical in glucose metabolism), ghrelin (stimulates hunger, telling the brain to eat), and leptin (regulates body weight by inhibiting hunger), which can lead to weight gain or in more extreme cases to type 2 diabetes (4, 5, 6). This metabolic change seems to affect anaerobic or explosive-muscle-power sports performance less than aerobic or endurance-based sports performance because the alteration in glucose metabolism inhibits glucose synthesis (from muscle and liver glycogen stores) which is critical in aerobic and endurance performance (15). A multitude of hormones are released in our body during sleep that are all critical for day-to-day function, including playing a key role in regulating metabolism. Image courtesy of Sciencealert.com/chemical-messengers-how-hormones-help-us-sleep. Contrary to conventional ideas on optimal sleep hygiene (sleep practices), regular exercise, particularly in the late afternoon and early evening, has been shown to improve sleep quality amongst healthy non-athlete adults (4). This is due primarily to exercise in the evening helping to increase blood flow to the skin, cooling the core body temperature, particularly if the exercise concludes about three hours before bed (21). However, competitively training athletes report having lower levels of sleep efficiency (or sleep quality) and higher sleep latency (the time it takes you to fall asleep) (4, 5, 6, 7). In fact, studies show that on average competitively training athletes routinely get under seven hours of sleep a night, with elite athletes who travel internationally getting the least amount of sleep (8). There are numerous reasons we don’t get enough sleep compared to our peers including busy schedules, increased muscular pain and tension (simply waking up due to musculoskeletal discomfort) following training, and increased psychological stress particularly around competitions (7). What are some other running-specific sleeping concerns? For one, many of us over the next year will take on a goal race. These big races may mean traveling to somewhere else in the country or world. If anything can mess up your sleep and circadian rhythm, it’s travel. Generally speaking, traveling east more than two time zones is where we start to experience detrimental effects. This is because our circadian rhythm experiences a phase delay where our bedtime and wake time move later in the day, which is harder to internally adapt to and which is known as circadian misalignment (21). It takes approximately one day to adjust to each time zone crossed starting at the three-hour mark (21). You can get a slight jump on it and start shifting yourself east before you begin traveling, what we call sleep acclimation. Additionally, to get over the jet-lag hump upon arrival, synchronize to local time as quickly as possible, set your watch to local time on the plane, adjust the timing of your meals, and time your light exposure in combination with a melatonin supplement (21). Interestingly, timing your meals to your destination’s time can be super effective. It turns out that gastrointestinal-tract signaling is crucial to resetting your circadian rhythm (27). 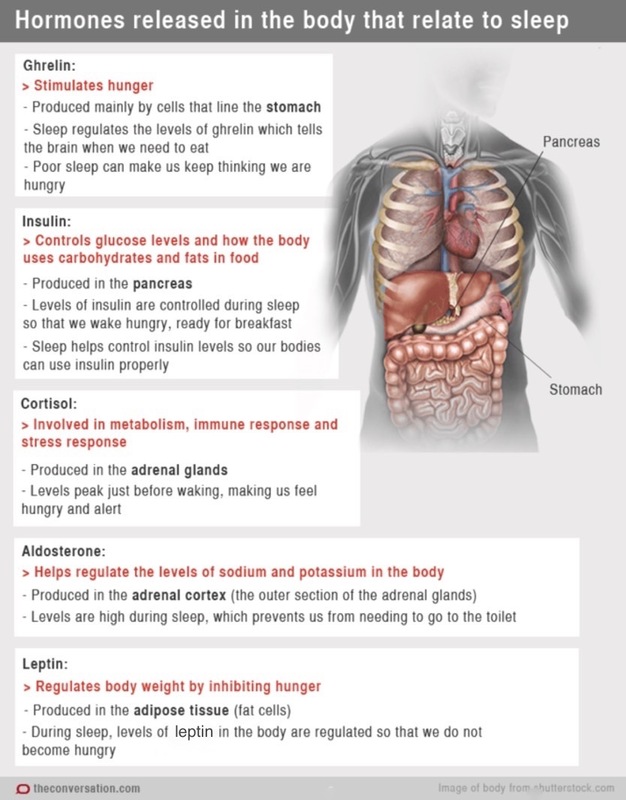 This is due to the insulin response produced by eating, which involves cortisol and stimulates wakefulness. Another athlete-specific protocol is to have a sleep plan that utilizes naps and sleep extension. Who doesn’t love a good nap? In a study conducted with 2017 UTMB participants, they found it was hard for most athletes to nap during their build-up to race day due to work and other commitments. The study revealed that less than half of the racers utilized naps as a sleep strategy and, if they did, it was limited primarily to weekends and holidays (21). However, napping is an effective way to not only extend the total quantity of sleep you get each day, but to also improve performance in athletes who get less than seven hours of sleep per night. In a study conducted last year, endurance-trained runners who got less than seven hours of sleep on average per night saw significant improvements in their afternoon-running tests (time to exhaustion) when allowed to take a 40-minute nap (with an average of 20 minutes of sleeping time) 90 minutes before the test (20). Lastly, let’s talk about sleep extension, or what I like to call sleep banking. In a study conducted on 303 UTMB finishers, 88% reported adopting a specific sleep-management plan leading into the race including naps and increased nighttime sleep (21). Of note, runners who increased the amount of sleep they got before the race finished significantly faster than runners in the study who did not (21). In studies of college basketball players, sleep extension from seven to nine hours of nightly sleep has been shown to improve performance (increase in accuracy, decrease in fatigue) (23). Furthermore, sleep extension is protective against sleep deprivation on a cognitive level (after just one day of sleep extension), reduces the rate of perceived exertion, and improves time to exhaustion after six days of sleep extension (24, 25). Can anyone say sleep banking before a big race? Napping can be an important part of sleep extension. In a study of trained endurance runners, a short afternoon nap was even more important to runners getting less than seven hours of sleep per night. Image courtesy of Ylmsportscience.com/category/sleep/. Here are the take-home points about sleep–and a lack thereof. You feel drowsy during the day, particularly in the early afternoon. You fall asleep in as little as two to three minutes after lying down or becoming inactive. You need ‘micro-sleep,’ or to take incredibly brief naps. 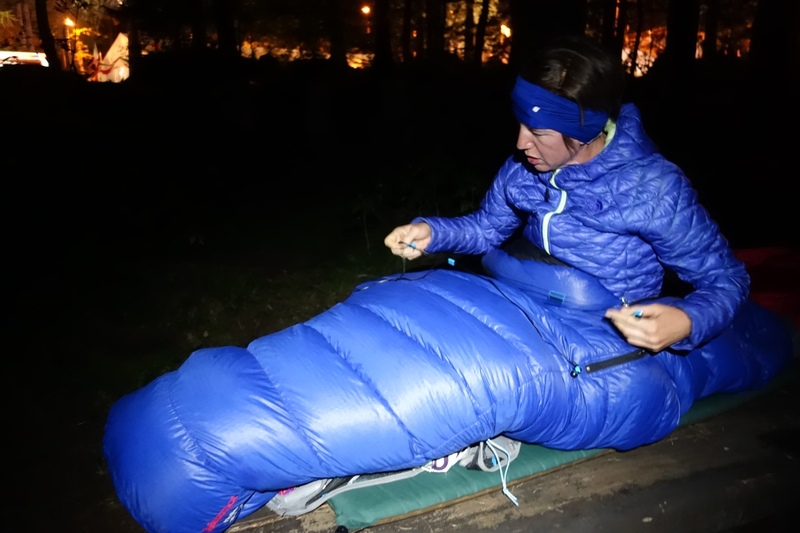 Like those one-minute naps Courtney Dauwalter takes during ultra-endurance events, although this is obviously an extreme example of micro-sleep needs. You are more irritable than normal. You take longer to learn new information or tasks than normal. Spend more time in bed. Studies have shown that increasing an athlete’s time in bed to nine hours virtually guarantees that they get on average eight hours of sleep a night (19). Add a nap. When athletes could not spend nine hours in bed overnight but were able to add a one-hour nap to their afternoons, they were able to also average eight hours of sleep total and performed similarly to athletes getting eight hours of ‘anchor sleep’ overnight (19). Additionally, if you get less than seven hours of sleep a night, a nap of as little as 20 minutes has been shown to increase performance in afternoon running tests (20). Don’t panic, as stress can inhibit your ability to fall asleep. Everyone responds to sleep deprivation differently, and although there is a dose-response relationship between hours of sleep deprivation and a person’s decline in cognitive function based on psychomotor-task performance (6), some people have normal cognitive function with as little as five hours of average sleep a night. Create a relaxing bedtime routine. This could be a cup of tea and a book, mediating, or practicing deep-breathing exercises to release stress and muscular tension. Start this routine 30 minutes before bed (3). Avoid caffeine and nicotine in the afternoon as both take three to six hours to peak and begin to clear from your body. In that time they act as stimulants that are likely to increase sleep latency, decrease sleep quality and duration, and increase the likelihood of waking frequently (21). Avoid alcohol within two to three hours of bedtime. Even though alcohol might help you fall sleep, it can disrupt your sleep rhythm, causing you to wake up early or more frequently through the night. This is because alcohol is a diuretic and makes you more likely to need to use the bathroom (3). Alcohol has also been shown to suppress REM sleep, which is why we often feel cognitively groggy when we wake up (3). Avoid eating a large meal within two to three hours of bedtime. This is especially true if you suffer from heartburn or gastric reflux because lying down can cause food in the stomach to reflux into the esophagus. Additionally, the timing of meals and the insulin response to that food has a large impact on your circadian rhythm, signaling wakefulness which is undesired before sleeping (27). However, most people do not find a small snack before bed to be problematic. Minimize exposure to light, including blue light (from electronics), close to bedtime as it will decrease your melatonin secretion, making it harder to fall asleep (13). It is also important to maximize exposure to light during the day (especially during morning hours) to stimulate serotonin and cortisol release and blunt daytime melatonin expression. Remember one of your body’s natural signals that it is time to sleep is a cooling of your core body temperature. Sleep in a cold, dark, and quiet room or wear a sleep mask and ear plugs when you can’t control where you sleep. Also consider bedding that breathes well (14). Try to have both a regular bedtime and wake time that matches with your circadian rhythm. This sounds simple, but for many of us it’s harder to practice because of that one early morning a week we run with friends and that one late night out. Creating a normal bedtime and wake time helps your circadian rhythm do its thing (3). If you have a sleep condition, or chronically have difficulties sleeping, seek advice from your primary-care provider or a sleep specialist. In the previously mentioned UTMB study, published in 2018, 22.4% of volunteers had sought medical advice for sleep conditions and 14.1% of volunteers took medicine to aid in sleep (21). In the general Western European population, survey results suggest that approximately 31 to 46% of respondents have difficulty falling sleeping and/or staying asleep (21). Use a melatonin supplement. Melatonin won’t put you to sleep but it does help your body reach a state of quiet wakefulness that promotes sleep (3). Melatonin is naturally produced by the body and rises every evening, per your circadian rhythm. If you are a night owl who wants to go to bed earlier, take one to three milligrams of melatonin two hours before your desired bedtime to fight your natural circadian rhythm (26). On the other hand, if you are a troubled sleeper with problems falling asleep you can take one to two milligrams 30 minutes before getting into bed to help avoid sleep latency (26). As always, consult with your primary-care provider before starting new medications. Do you think you sleep enough? How can you tell when you are getting enough sleep? What happens to your brain and body when you don’t? Do you nap? Does napping help you bridge the sleep gap if you don’t get a full night of sleep? Have you found sleep or a lack thereof to affect your running? Have you looked at your markers of performance and/or fatigue during periods of too little or adequate sleep? Hirshkowitz M, Whiton K, Albert SM, et al. National Sleep Foundation’s sleep time duration recommendations: methodology and results summary. Sleep Health. 2015;1:40–43. Watson NF, BadrMS, Belenky G, et al. Recommended amount of sleep for a healthy adult: a Joint consensus statement of the American Academy of sleep medicine and sleep research Society. Sleep. 2015;38:843–844. American Thoracic Society. Sleep and Performance. Patient Education: Information Series. American Journal of Critical Care Medicine. 2018: 197: 13-14. Venter, RE. Role of Sleep in Performance and Recovery of Athletes: a review article. South African Journal for Research in Sport, Physical Education and Recreation, 2012, 34(1) 167-184. O’Donnell S, Driller MW, Beaven C. From Pillow to Podium: A review on understanding sleep for elite athletes. Nature and Science of Sleep. 2018: 10: 243-253. Thun E, Bjorvatn B, Flo E, et al. Sleep, circadian rhythms, and athletic performance. Sleep Med Rev. 2015;23:1–9. Beil, L. (2018, July 21). The brain may clean out Alzheimer’s plaques during sleep. Science News, 194(2), 22. Bush, B., & T, H. (2010). The Role of Cortisol in Sleep. Natural Medicine Journal,2(6). 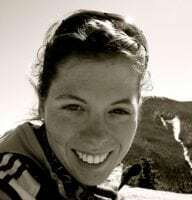 Corrine Malcolm is a self-proclaimed ultra nerd running for Adidas Terrex as well as a coach. Any information on ultra running and working night shift, or flipping sleep schedules, ie alternating between days and nights? I wonder if there is any research on how that effects performance? I assume there are some other night shift workers like myself out there who run ultras! There is very little research comparing swing shift work with athletic performance specifically. There is a bunch of research looking at swing shift and hormonal changes, and changes in cognitive performance which likely pertains to athletes (could be extrapolated). All the literature points to being days or nights (as opposed to swing) is generally better from a general health standpoint, as it causes a stronger shift in circadian rhythm, since working nights disrupts this pretty significantly, going back and forth has obvious challenges. That being said, the best fix, is to make sure you get enough “anchor sleep”/night sleep when you can and get naps to try and fill in the gaps. 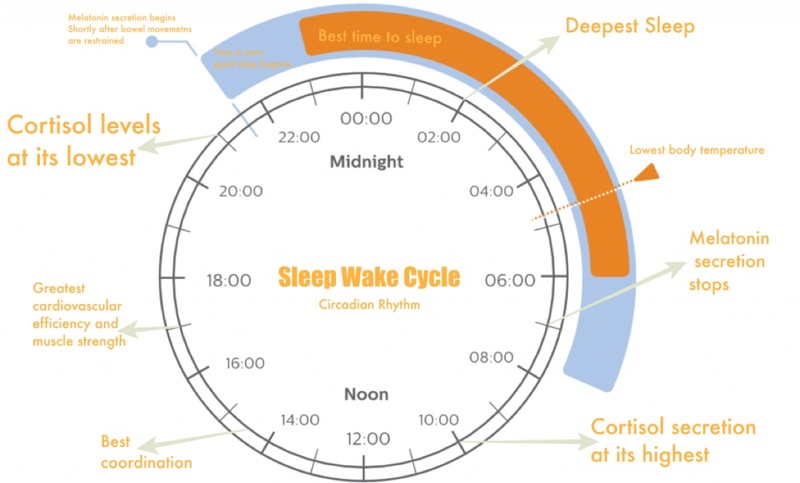 If you look at the image above in the article with the clock (cortisol/melatonin) that’s the simplest way to visualize how a shifted circadian rhythm (or a maladapted one) might effect how you feel training and racing. There are loads of shift workers in the ultra/trail community and doing a research project with that population specifically would be really interesting. I would also like to hear your thoughts on sleep strategies for multi-day events. For example, would it be better to sleep 3 hours or more to reach REM or have three one hour (or less) micro-sleeps? Would your advice change depending on the number of nights that the event covers? Good stuff right here, Corrine, thank you for compiling so much eye-opening information. Sadly, it gives some explanation to my terrible, terrible performances — DNFed at every race over 50 miles — over the past two years. I have a 3-year old-with whom I co-sleep, who would awaken every two hours, needing to be walked around the room or given a bottle. I *knew* I wasn’t getting enough sleep, but believed I was high-functioning *enough* on < 6 hours of (continuous) sleep. I consciously chose to run rather than nap when I could and desperately continued to train and run/race though I always depressed/exhausted/highly irritable. I'd also had more injuries in the last two years — tibial stress fracture, plantar fasciitis in both feet — than I have in my entire running "career".